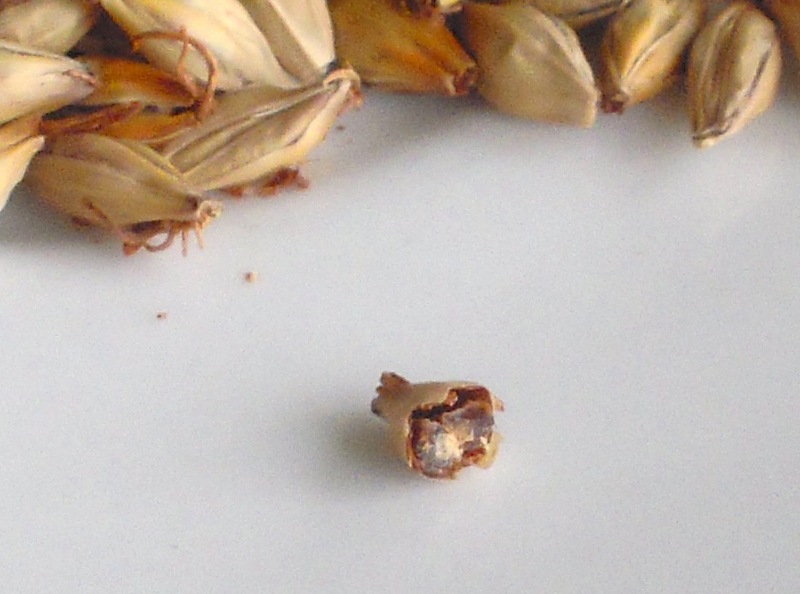 I can’t wait to compare the flavour of brown malt to the other roasted malts I make with the same barley. I’ve never managed to lower my pH enough when making light lagers but I’ve never tried using acid malt so I thought it would be a good one to make for my ever increasing stash of malts. 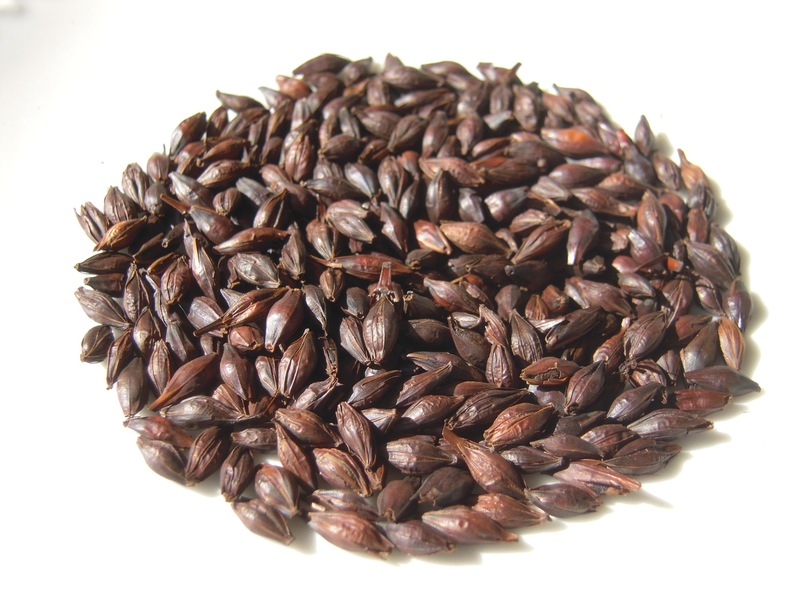 Acidulated malt or acid malt is an ace up the sleeve for brewers who want to lower their mash pH or to add a slight sour flavour. 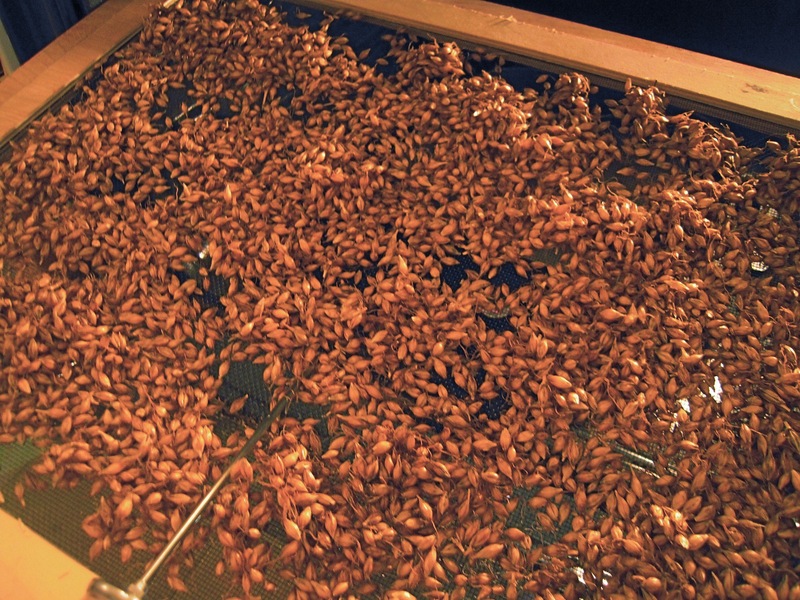 Acid malt utilizes lactic fermentation to achieve its sourness just like yogurt, sauerkraut and of course lambic beers. 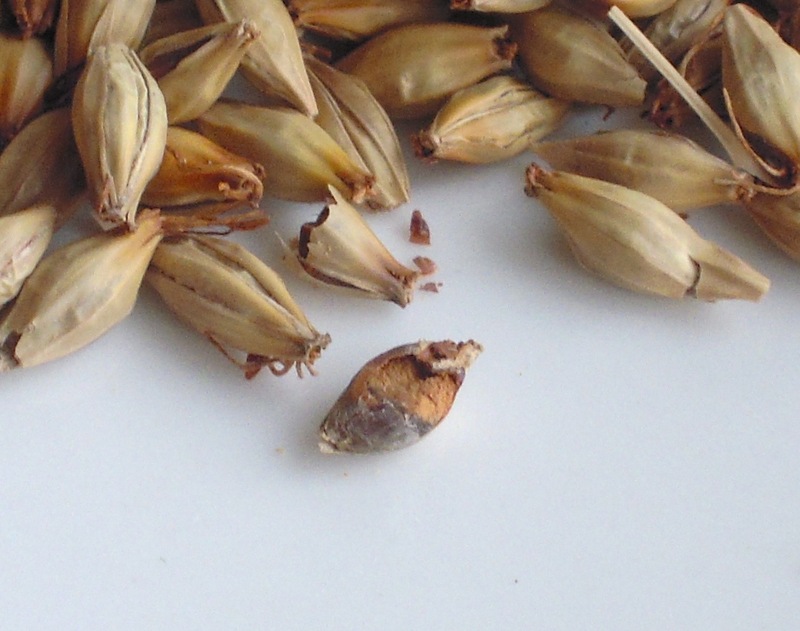 To make my acid malt I started with green malt (germinated barley that has not been kilned yet). Since lactic fermentation occurs anaerobically (without oxygen) I put it in a ziplock freezer bag, wet it, sucked all the air out of it with a straw then sealed it up. I kept it warm at 35C or 95F for 36 hours. Occasionally I had to squeeze any air out of the bag and seal it up again. It turned a caramel brown colour and looked pretty slimy by the end of it. You can also keep it at 25 C for 4-5 days but thinking back to my first Munich malt disaster I thought it would be too risky to keep it for such a long period. When I poured it out and put it in the oven to dry at 95 F my daughter said it smelled like sushi rice and she was totally right. It makes a lot of sense because if you’ve ever made sushi rice you’ll know that it has rice wine vinegar and sugar in it. I guess the lactic acid and the sweetness from the malt create a very similar smell. After a few hours in the oven I tried a kernel. It was sour, the flavour actually made me think of sauerkraut. Then it dawned on me that I had three cabbages from our garden sitting on the balcony just waiting to be turned into something funky. 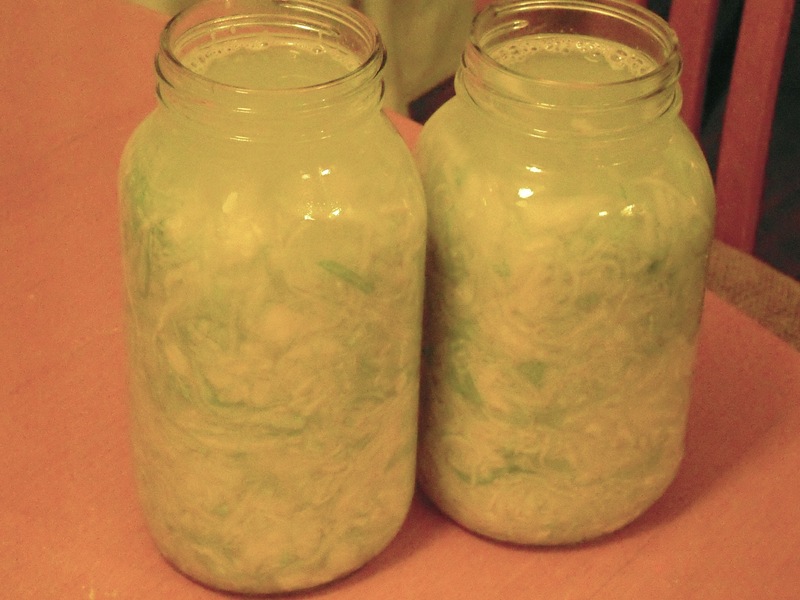 So while I was making some acid malt I figured I might as well make some sauerkraut, same bacteria different host. 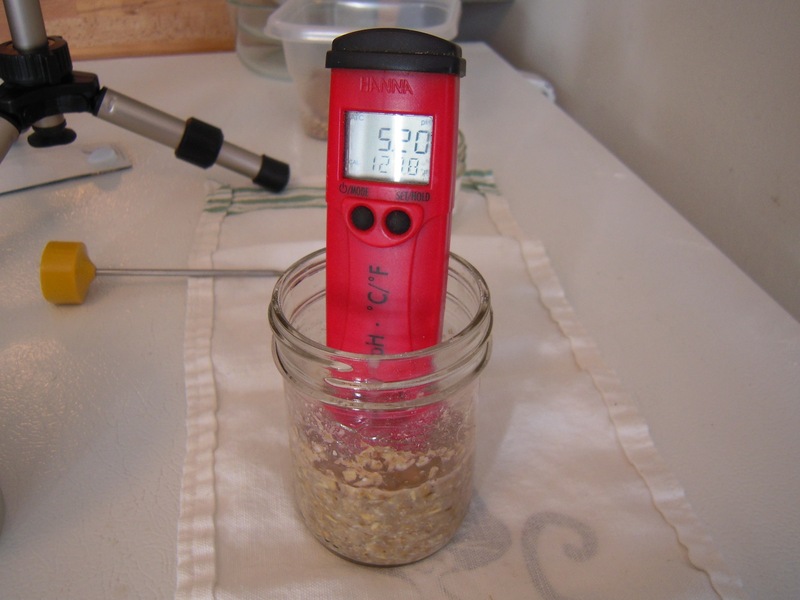 To test my acid malt I took an ounce of pilsner malt and mashed it with 75mL of water at 154 F I then added what would equate to 5 % acid malt. 10 minutes later the pH had dropped from 5.75 to 5.45. It went up after another ten minutes to 5.5 perhaps due to the drop in temperature. I warmed it back up and added another 5 % and lo and behold the pH dropped to 5.2. This stuff actually works! Packed in jars, ready to cover and ferment. Finally finished malting a batch of pale and pilsner malt. The only difference between the two is the final curing temperature. I made both with my 6-row Robust barely. 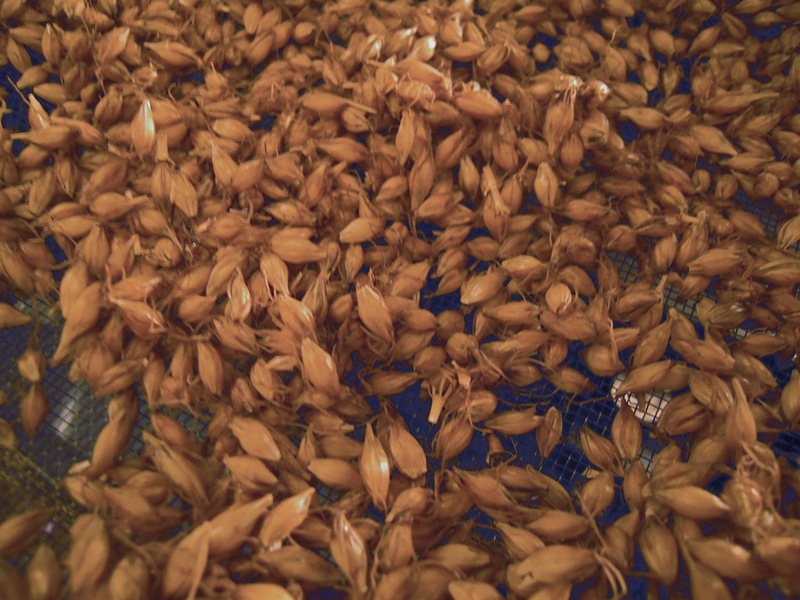 Normally the other difference between pale and pilsner malt is that pale malt is made with 2-row barley which usually contains less proteins and has less diastatic power but contains more alpha amylase. My oven seems pretty maxed out at 5-6 lbs of grain which at this stage is at about 8 lbs due to the water it has absorbed. It all fits on four trays which I have to shuffle around during kilning so that it dries evenly. I’m no carpenter but the trays I made work and are fairly sturdy. I made them out of 1/4 inch plywood. 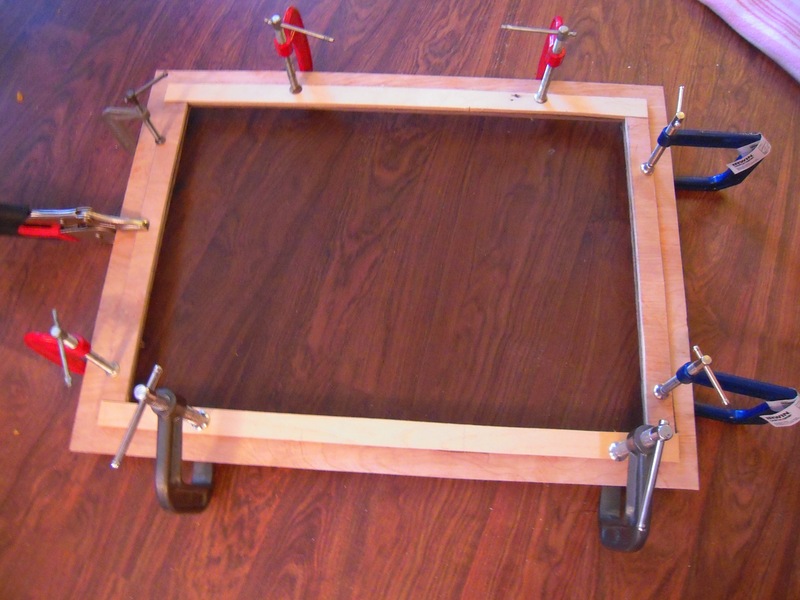 I took an 18″x24″ piece and cut a 14″x20″ hole so that the sides are 2″ wide. I then stapled metal screen to it. The staples I used went right through the plywood so I had to bend the points down on the other side. I used a screwdriver and a mallet for this and pushed the points right into the wood. 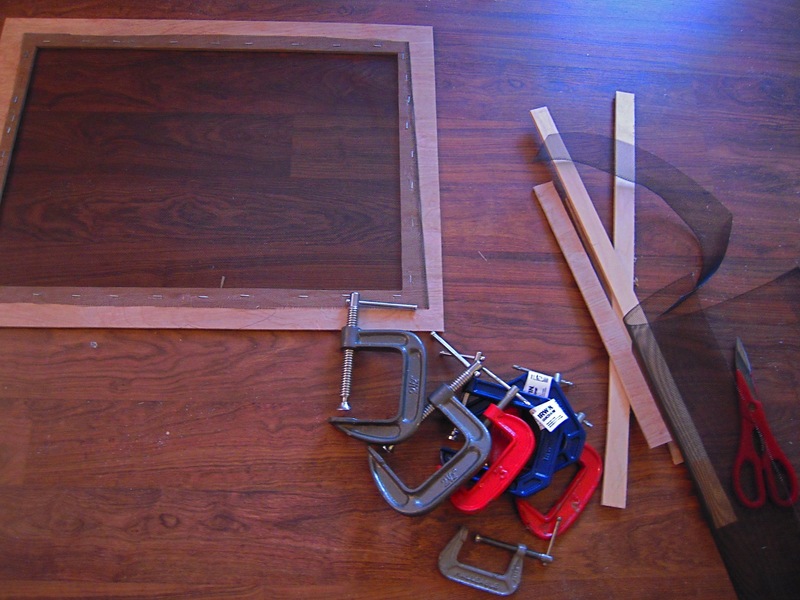 I then glued some 1″ pieces to go along the edge and cover the ends of the screen. I can’t wait to start brewing but I’m still planning on making some more base malts as well as acid, brown, amber, chocolate, and black. Here’s the procedure I used to make my Pale and Pilsner malts which are the same until the last step. 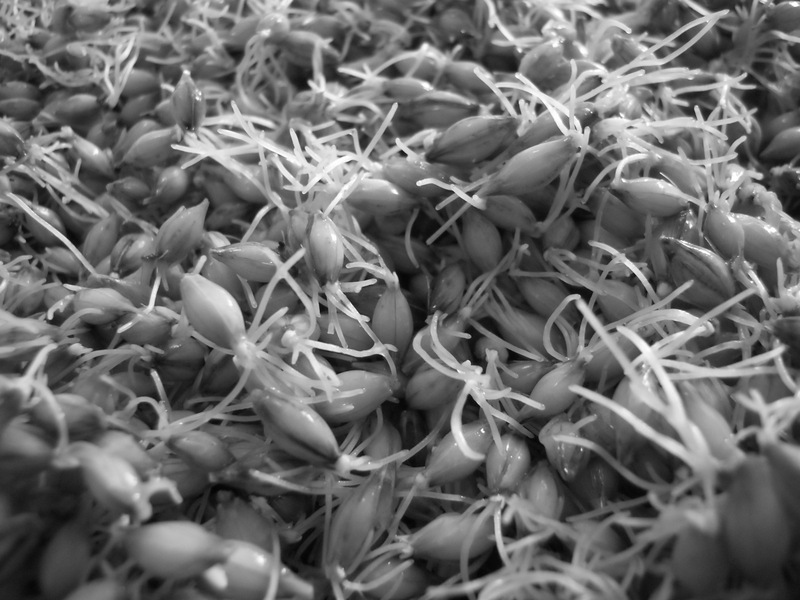 Germinate until acrospire is 2/3 – 3/4 the length of the grain and the starch inside spreads like a chalky paste when rubbed between two fingers, as opposed to a gummy ball. Cure at 158 F-176F 2-3 hrs to create pilsner malt. Isn’t that pretty? To a beer brewer maybe. Today I was seriously let down by my George Foreman Rotisserie. It just didn’t get hot enough to roast my unmalted barley. I suppose there could be something wrong with it since I did buy it at Value Village for only $20. I let it cook for over 3 hours and it had only a slight change in colour. So I threw it in the oven on a cookie sheet at 480 F and it was done in an hour. I turned the grains every 10-15 minutes because they got quite smokey. 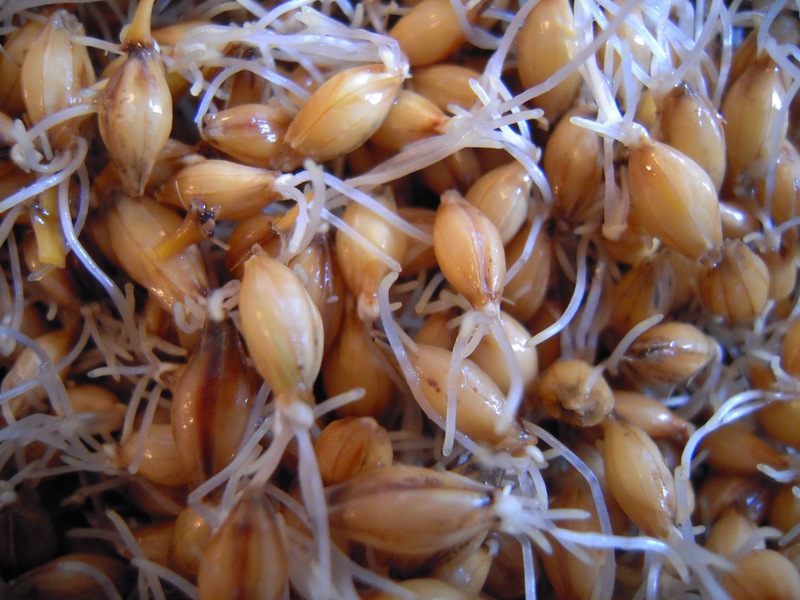 Theoretically 6-row barley is better for roasted grains due to the higher protein content. The more protein the more browning that will occur. This browning reaction is called the Maillard reaction. I’m happy with the results and our place smells like a coffee roasters. 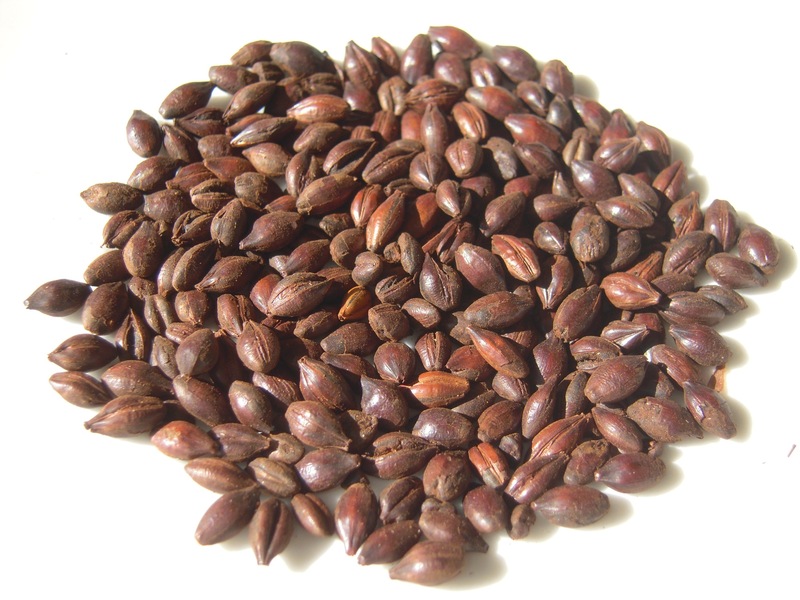 Speaking of which I had read somewhere that roasted barley makes a good caffeine free coffee substitute. I tried it a few years ago and thought it tasted pretty awful but I had used roasted barley that had most likely been sitting around for months. I tried it with my barley and wow! what a difference. It had a rich earthy flavor, not as rich as coffee, more like a decaf but with the bonus of having more chocolate notes. Here’s something I won’t do again. This summer I sent away for some sugar beet seeds from Quebec. Since I’ve been brewing a lot of belgian style beers, I wanted to see if I could make candi sugar out of beets. I’ve made candi sugar out of regular white sugar and it was surprisingly easy. But this is Brewing Beer The Hard Way not the easy way! Not many seeds germinated but I did manage to grow two massive ones and a few smaller ones for a total weight of 8 lbs. 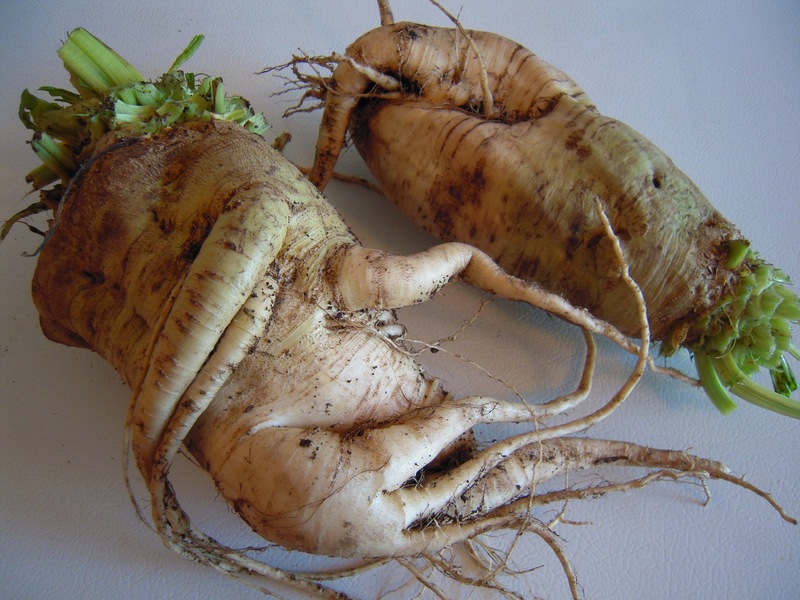 From what I’ve read sugar beets contain up to 13 % sugar. A regular beet has about 8%. 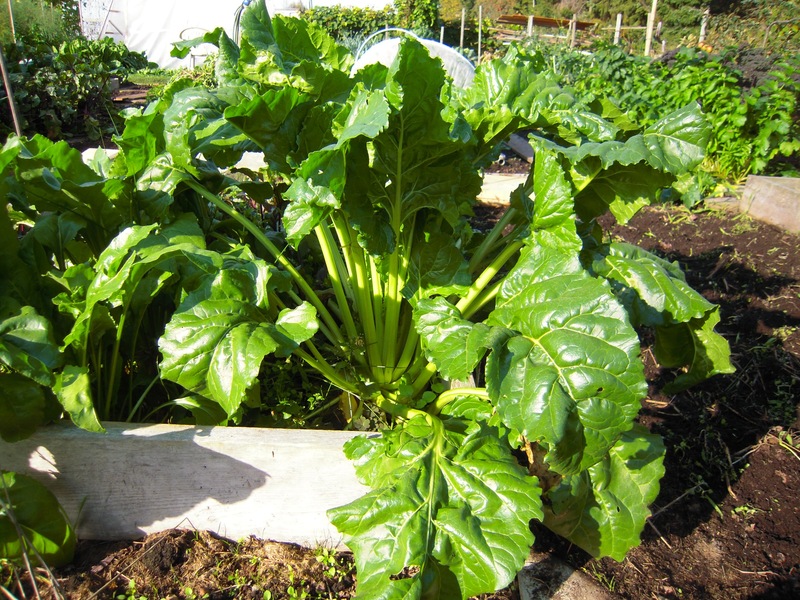 The leaves on the plants are edible too and were mild enough to eat raw in a salad, kind of like spinach. Unfortunately what you don’t see in the video is the clip where the syrup reached 250F and started to change colour. I lost this clip accidentally. I believe it was about to burn due to all the extra stuff in the sugar, in such an unrefined state so that’s why I didn’t let it reach 300F. No big deal though, I’m just curious to see what kind of flavors it imparts to my beer. Why won’t I do this again? Well, this is slow food at it’s slowest, too slow even for me. 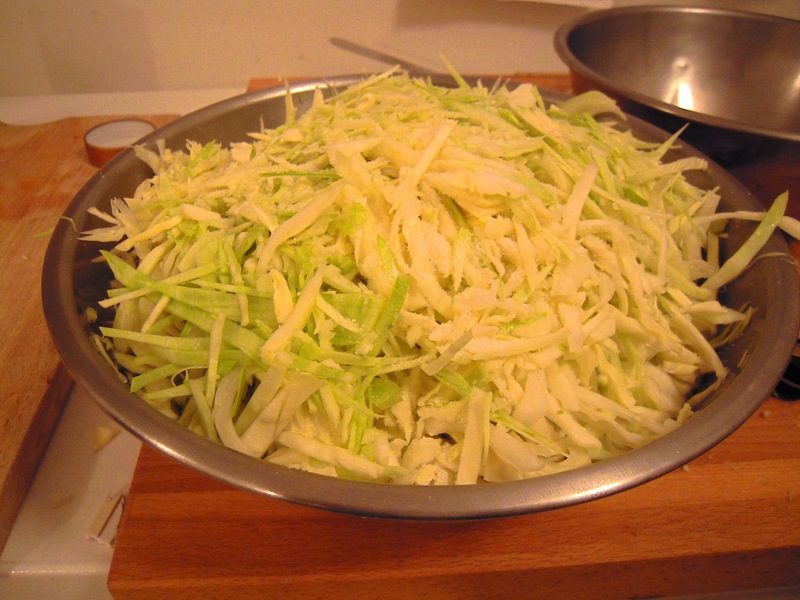 Slice up the beats very thin or shred them and boil for 1 hr with water just to cover. strain off the water through a coffee filter and boil this water down. Pour off into a pyrex dish lined with parchment paper or foil. This will give you a dark taffy like sugar that tastes similar to molasses and is slightly bitter.